Last week’s Watchtower started with a Scars of Mirrodin fastland, so I figured I’d do the same this week. With this weekend’s World Magic Cup in the books, it’s clear that Dredge is going to be a mainstay tier 1 deck until people are playing four main deck Rest in Peace or Wizards buries Golgari Grave-Troll again. Until either of those happen, Dredge will show up at every Modern event, and in every Dredge deck you’ll see Copperline Gorge. Almost always run as a full playset, Copperline Gorge is exactly the type of land Dredge wants access to. It’s a dual land that comes down untapped with no drawbacks for the first three turns of the game, which is the most crucial window for a strategy this aggressive. Dredge isn’t the only deck looking to leverage the early explosive power of this type of land either — we see Naya Burn pick up copies of Gorge when that pops up in results too. Gorge has climbed to $10 on the back of Dredge’s success, and I don’t think it’s done ascending. Blackcleave Cliffs was $25 when Jund was at its peak, and with the amount of play Gorge is seeing, it could land right there as well. Even if it doesn’t make it all the way to $25, there’s a lot of room in between there and $10. Blackcleave Cliffs was the first SOM dual to break out, and it looks like it’s finally time for the others to follow suit. If you listen to MTG Fast Finance, you’ll know James and I are fans of Eldrazi. Pick any of them, foil or not, and they likely have a rosy outlook. There’s one that’s especially appealing though, and that’s Eldrazi Displacer. This popped up on my radar once more after looking through the WMC results and seeing Bant Eldrazi everywhere. 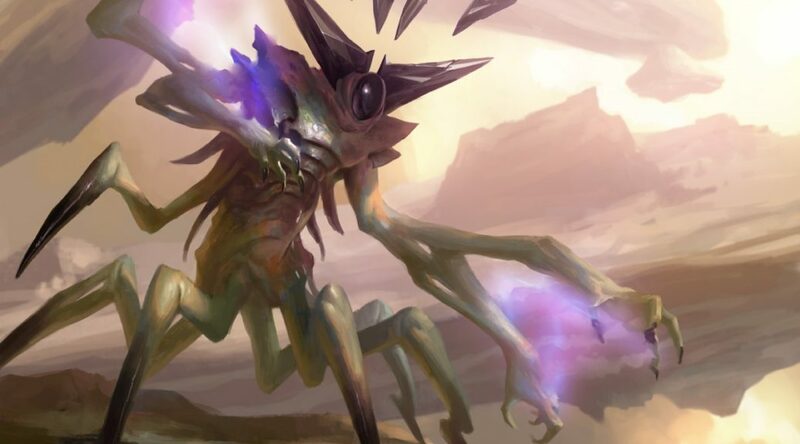 Part of the appeal of Eldrazi in a team constructed format is that it doesn’t overlap much with other strategies, of course, but that doesn’t mean it can’t stand on its own two…four-ish…appendages in a normal tournament. Bant Eldrazi has been consistently performing at Modern events for months, despite suffering a dramatic setback in early 2016 when Eye of Ugin was banned. Eldrazi Displacer is regularly a four-of in the deck, working to incapacitate blockers, rebuy Thought-Knot Seer triggers, and provide a never-ending stream of Scion tokens with Drowner of Hope. Beyond the Bant build, we also see Displacer filling a similar role in the White Weenie/Taxes builds floating around in tier 2 or 3 as well. And to top it all off, it’s an EDH all-star that fits in nearly every deck that produces white mana. Foils are about $11 to $12, and they’ve never been much cheaper. As we approach the one year anniversary of Oath of the Gatewatch, copies are going to continue to get scarcer. With demand across multiple decks and multiple formats, I don’t see foils staying this cheap forever. 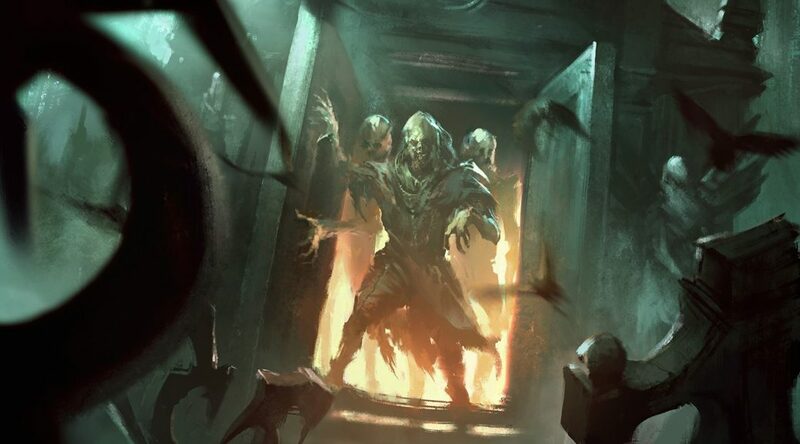 A year or so back the world fell in love with Grishoalbrand, a brutal combo deck that had lie dormant in the format for years. It combines the draw power of Grislebrand, the life gain of Nourishing Shoal exiling Worldspine Wurm, and oddly enough, the odd card advantage of arcane. We haven’t seen too much of the strategy in the last couple months, but it popped back up at the WMC, reminding everyone that it is indeed viable, in no small part thanks to its turn two kills. Most of the components are known quantities at this point — Goryo’s Vengeance and Through the Breach chief among them. There’s one piece in particular, though, that’s appealing. Nourishing Shoal is a key component of the strategy and utterly irreplaceable; there is no card in Modern that approximates this effect. With a single printing during Kamigawa, supply on Shoal is as low as they come for a Modern-legal rare. As a uncuttable 4-of in a powerful combo deck with highly restricted supply, the price stability on this is tenuous at best. When Grishoalbrand was first introduced to the world, Shoal spiked quickly. Since then, the price has tempered and fallen to $6. Next time this spikes, it won’t be so fast to fall. During the first spike all sorts of copies come out of the woodwork — bulk boxes, trade binders, and $1 rare binders all get looted. Next time, that supply won’t be there to raid, and the price is going to spike harder, and with more longevity. So long as they don’t ban Simian Spirit Guide, this is bound for $15+ eventually. An aberration originally, a showcase of Modern-legal cards Wizards wishes weren’t, Lantern Control has since cemented its place in the format tier structure. Right in the middle of it all is the eponymous Lantern of Insight. Lantern is an uncommon from Fifth Dawn, the fourth-oldest set in Modern. Just as Nourishing Shoal has just about the least supply possible for a Modern Rare, the same is true for Lantern of Insight and uncommons. Perhaps most tellingly, the price on Lantern has spiked hard online over the past two weeks. Online price trajectories are often an excellent indicator of paper behavior, so this is important to notice. Many times over have we seen prices move rapidly online, only to see something similar happen in paper a few short weeks later. 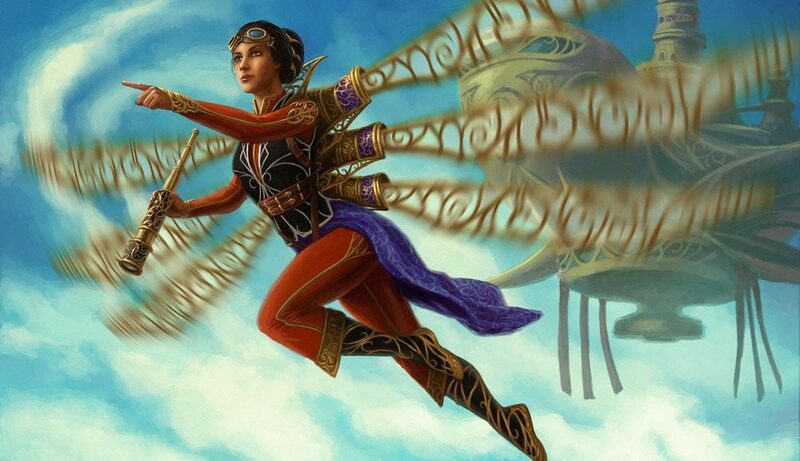 One only needs to look to Mishra’s Bauble to see what mythic uncommons can do in Modern when it comes to price tags. I don’t foresee Lantern being quite that successful, as it’s only found in one deck, but that doesn’t rule out gains entirely. I’d say that high single digits is a comfortable price for this card as a low-supply archetype-defining uncommon.